Custom Design with Birdhaus Co.
We make getting your wedding invitations simple. Choose from six unique invitation designs to accent the vision for your wedding. Send us your colors or choose from our recommended palettes. Choose from two paper stocks that come in bright white or off-white. 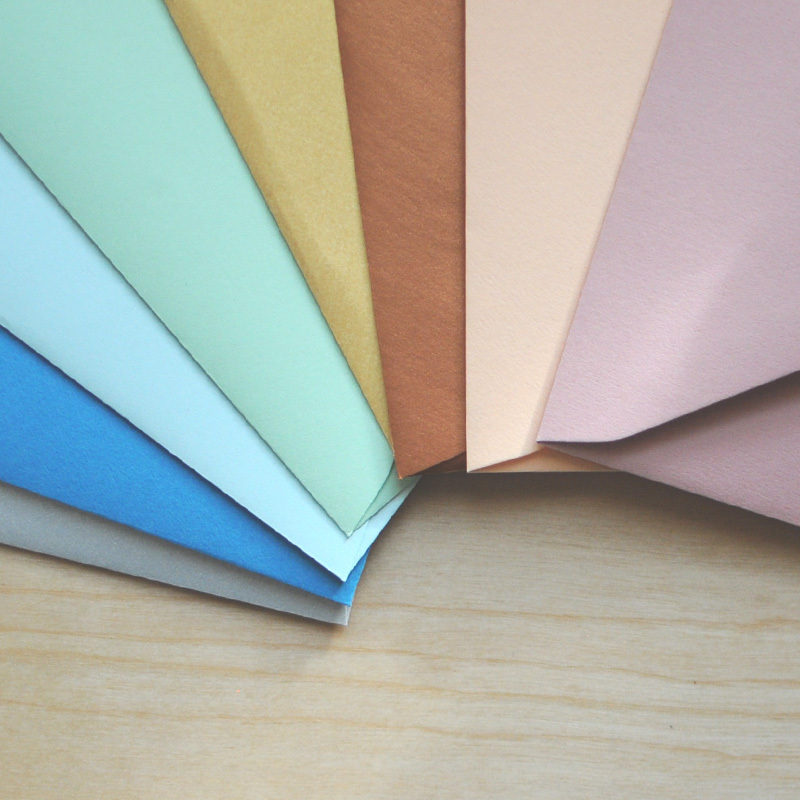 Select one of many colored envelopes in a matte or metallic finish. From classic to vintage, our Collection features designs that accent many popular wedding styles. Check back to see new designs each season. Each suite includes an invitation, envelope, reply postcard, and reception card – all the essentials you need to make a statement while staying within your budget. We’ve suggested a selection of colors that work well with each individual design. But, if you have a specific color in mind, fear not. Send us a sample of your color and we will do our best to match it! 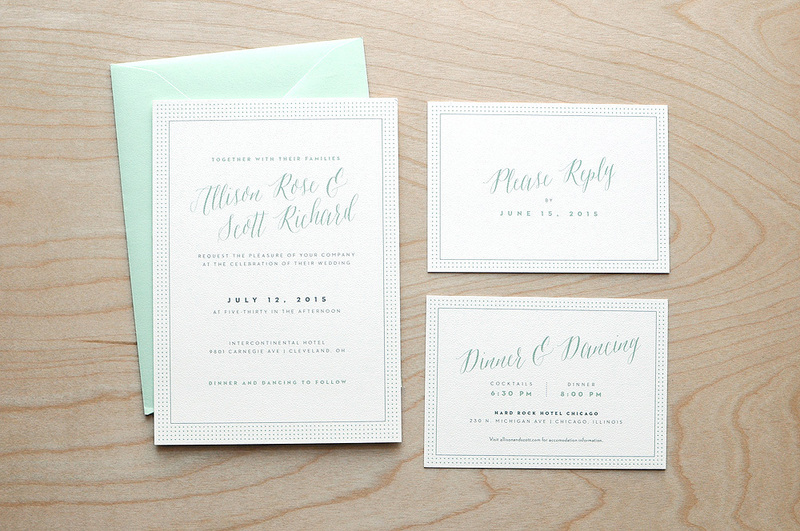 Paper is truly important for taking your invitation suite to the next level. We offer two sophisticated paper options that are sure to please both you and your wedding guests. Our Linen Paper has a timeless touch. It pairs perfectly with our Classic, Floral and Vintage suites. Available in Bright and Off-White. Our Eggshell Paper has a subtle cotton texture that pairs nicely with Deco, Modern, and Playful. The envelopes we source are high quality and made from heavy-weight paper stock. With 36 color options, chances are you can find an envelope to match your wedding colors. 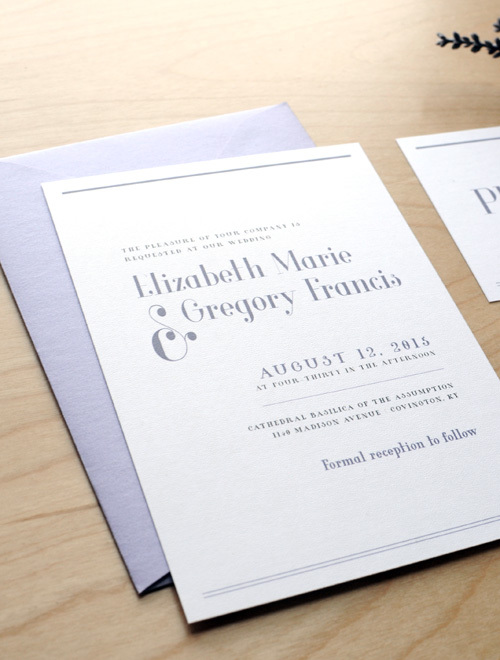 Envelopes feature a matte finish or metallic shine. All of our suites are available in increments of 25. Please contact us for custom quantities or quantities over 300. Each suite includes the invitation, reception card, and RSVP in the design of your choice, printed on one of our stock paper options. Also included in each suite is one of our colored envelope options in a matte or metallic finish.